Destined to be presented in two parts on the cable channel later this week, Scorsese invests the first half with a kineticism reflective of the youthful energy of the Beatles and the teenage fans which propelled them to stardom. Most of the memorable early songs written by John Lennon and Paul McCartney dominate for the first hour of part 1, gradually receding as the group attains a higher consciousness — mostly as a result of Harrison's realization that fame's rewards were fleeting and finite. 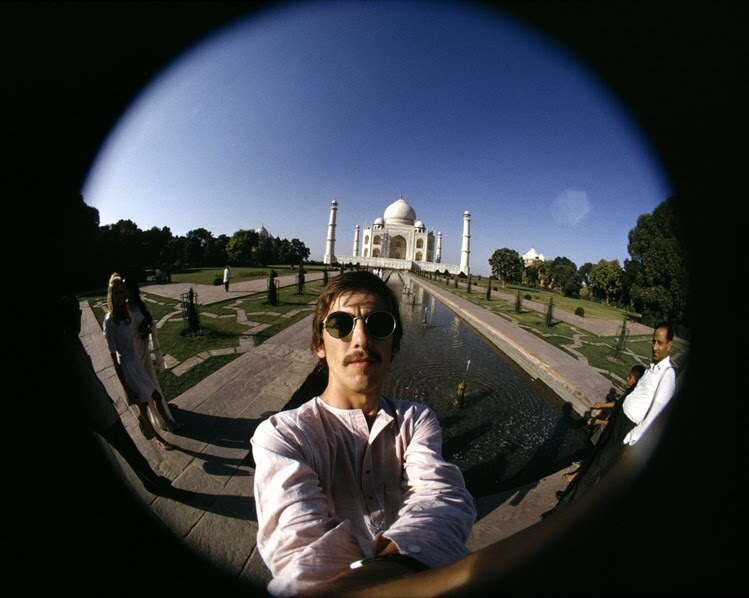 Harrison's experimentation with LSD and meditation are only the beginning of a natural progression towards Eastern spirituality and a fondness for Indian music, all of which bleed into his compositions. 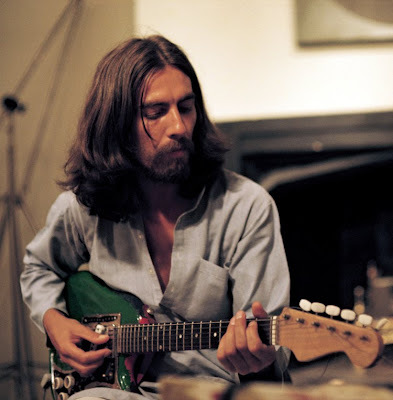 Scorsese brings these — songs like "Here Comes the Sun," "Something" and "While My Guitar Gently Weeps" — to the fore, and the effect is that of one plugging Harrison's soul into an amplifier, because it is here that the documentary really soars. Of course, it is at this point that Harrison (as did his bandmates) outgrows the group dynamic, precipitating their breakup. Scorsese uses this milestone as his demarcation point between the two halves. The second half of the film is as quiet and intimate as Harrison became in his later years. And like the musician, just a bit more elusive. Because his time with the Beatles was so well-documented, Scorsese almost uses the first chapter as a primer for the uninitiated. Yet it is the second chapter that more precisely captures the contradictory aspects of the deepest Beatle — his sarcasm, cosmic concerns, edgy humor, love of family. Scorsese cuts together a series of images in which Harrison often looks straight through the screen at you and seems alarmingly present yet inescapably unfathomable. Interspersed within these haunting images are typical talking head shots and video from talk show appearances, which unavoidably make the film play like a conventional documentary preaching to the already converted. Occasionally, when one begins to bristle at the beatification of the all too mortal Harrison, Scorsese does cut to an anecdote demonstrating the man's feet of clay, usually by McCartney, who comes off as a bit envious, or Ringo Starr, who seems to hold a genuine fraternal love for George. But what other monumental pop figure in recent memory is as deserving of such devotion? Living in the Material World ultimately transcends its orthodoxy to become a fitting tribute to Harrison. For his fans — his most loyal and most casual alike — it is a music-filled movie one wants to wrap around oneself like the coziest of warm blankets. However, the film's real revelation is reserved for movie lovers. This jewel — one of the best from this year's festival — is also one of the best films of the year. It premieres October 5th and 6th (in two parts) on HBO.